WELL MAINTAINED UPDATED home, Beautiful OCEAN VIEWS, features large Private POOL and very SHORT WALK to the UNCROWDED Beaches in Section E. Twiddy Rental Projection with 9.77% GRI , decorated with Upscale Furnishings, NEW Living Room Furniture, true cooks kitchen features Sea Glass Tile Backsplash, classic ceramic tile floors/durable nylon carpet, luxurious Large Private Pool & NEW Hot Tub, completely updated including all Appliances, Carpet, NEWER Roof and HVAC, Pool Motor, Front Porch Steps Replaced , All Decks Power Washed and Sealed and New Porch Swing. 3 Master Suites. 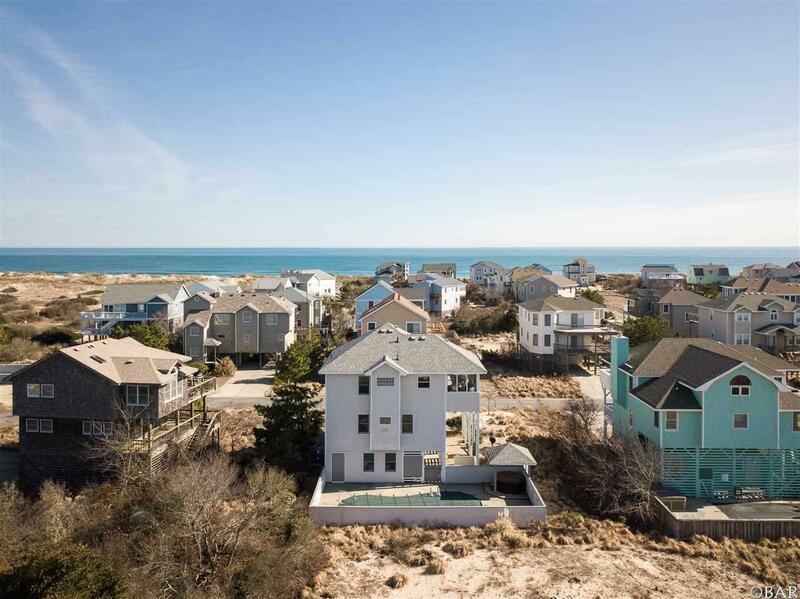 Home is located on an ELEVATED lot in Flood Zone X in the most sought after Section E of Ocean Sands with larger lots, more open spaces, and less populated beaches. Flood Insurance is not required. 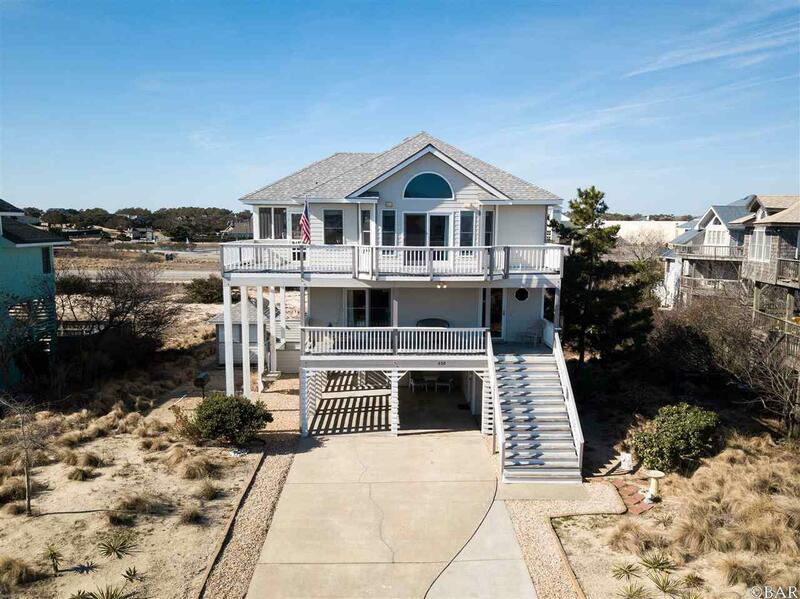 Short Walk to beach - Estimated distance from driveway to beach walkway is 266 yd. The Beautiful Ocean Views over the Open Space are even More Beautiful, as the Tree to the east/north has been Trimmed. Tennis, Shopping, Restaurants and Activities close by. Turnkey ready. Had been a private residence since 2010 so is very well maintained including all electric, plumbing. Immaculate condition. Excellent investment property. Projected rental income + $48,000.00 for 2018. Sold furnished. This home is the perfect home for investment, second home or primary home. If you are looking for a Well Maintained home that has Ocean Views, is located Close to the Beach, has a great Large Pool Area, is turn key ready and Strong Rental Projection of $48,000, then this is the home for you. Put this home on your must see list. 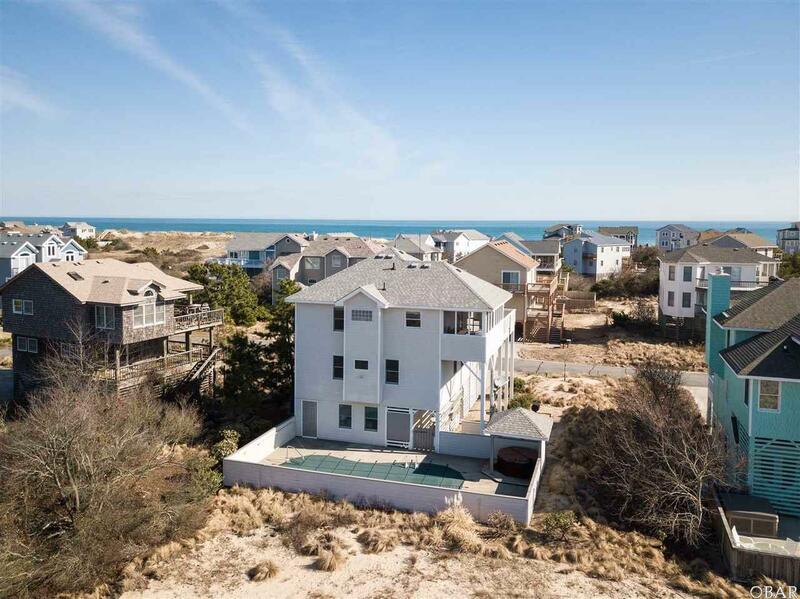 This is what the sellers like best about their home- Wake up to the beautiful blue ocean view every morning. Close to Beach access. Float in the large, luxurious 16 x 32 in-ground fiberglass pool, (pool toys too!) relax in the hot tub surrounded by a sheltered gazebo. Light, airy great room w big screen TV/home theater multi speaker system. Excellent well equipped kitchen which previous guests have declared to be "the most well equipped kitchen of any rental (they've) stayed in"! Screened porch for alfresco dining/gathering. Rocking chairs on deck to relax and watch the waves. Porch Swing on shaded middle deck is perfect for reading or bird watching. Upgraded new bedding includes luxury Waverly, Levtex and Hilfiger bedding. Ceiling fans throughout. Designated open space and multi use path for walking, strolling and cycling. Shopping, The Currituck Club Premiere Reese Jones Golf course, ice cream, restaurants and activities are all within walking distance. Pine trees provide privacy and this home boasts the only sculpted live oak tree in the neighborhood. Naturalized landscaping. Outdoor BBQ area is graveled for easy use and safety. Everything has been thought of for you so that you can relax and enjoy the beautiful Ocean Sands uncrowded Section E Beach. Projected rental income for 2019 is +$48,000.00. Easy investment for first time investor because it is ready to go. 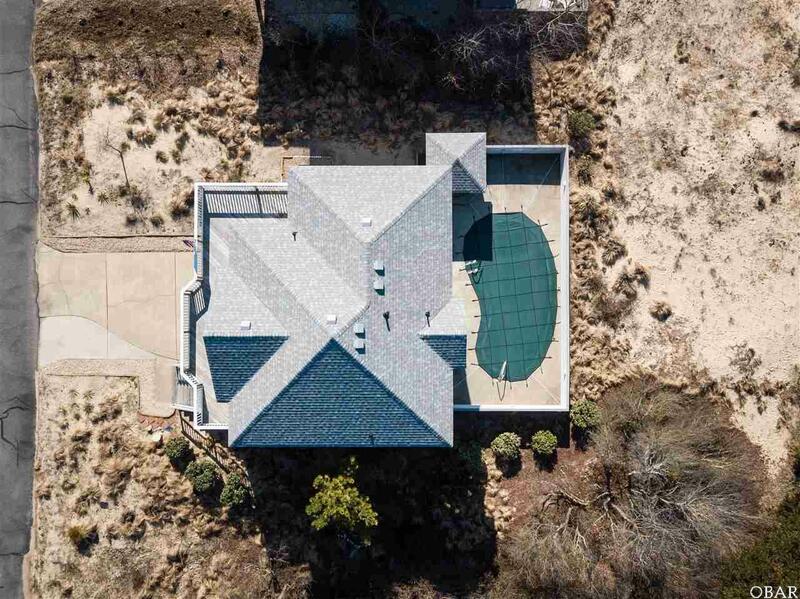 Listing courtesy of Daniel Larue of Corolla Beach Realty.